With this stark reply to a studio executive, Val Lewton boldly stated his uncompromising vision for the fourth film of his producing career at RKO. It was be controversial, lacking the success of his previous releases, but some argue that the undiluted nihilism of The Seventh Victim (1943) is what renders it a masterpiece. Lewton knew all too well that war-time audiences needed escapist thrills and horror - his films catered to that, yet at the same time he committed to a story whose main character rejected all hope, pursuing a trajectory toward death whose only positivity was that it was her goal. 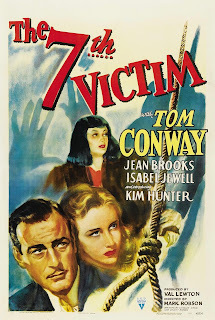 As we discussed, after The Leopard Man Lewton and his director collaborator Jacques Tourneur had become so successful that RKO thought they could double their profitability by splitting the two into separate production divisions, baiting them with promotion to the prestige shop window of A-features. Tourneur later reflected on the real secret to their profitable partnership that should have made separation unthinkable: “Val was the dreamer, the idealist. I was the materialist, the realist”. Lewton had no say in the split. He did however have a choice in whether to accept advancement. Despite the higher budgets, the studio were not willing to risk his decision to assign a first directing role to editor Mark Robson. Their deal-breaker ultimatum was that either he chose a more experienced A-feature helmer or stayed in B-pictures where such a gamble had much less to lose. The artist and the loyal friend in Lewton made him stay where he was. The Seventh Victim, Robson was still operating out of the 8’ x 8’ office he had continued to share with Robert Wise. Never mind; it was time to grab the brass ring and show what he could do. Robson was fortunate to inherit a well-oiled machine of proven talents to assist him, not to mention Lewton’s defining hands-on influence as a producer. 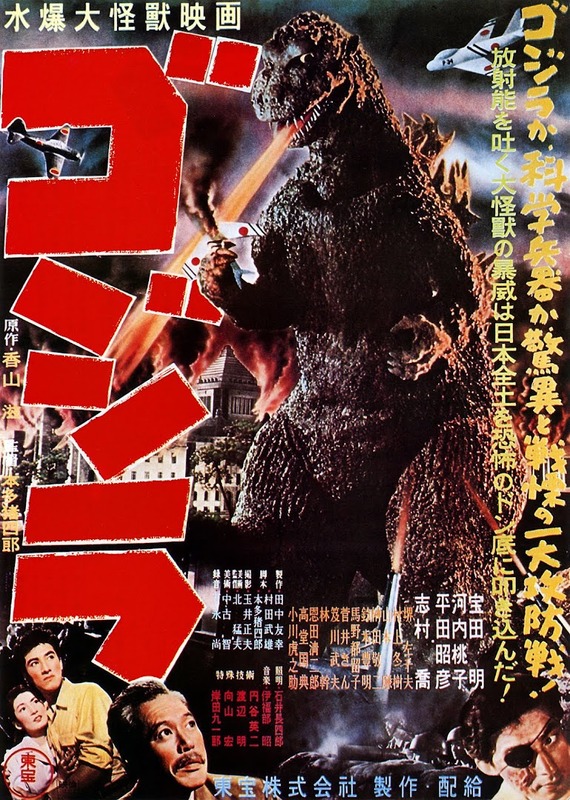 Although this extended to very department, it was most crucially felt in the foundation of any production’s chances: a good script. Having begun as a writer then story editor for David O. Selznick, Lewton never lost sight of this as the core of quality. He would perform uncredited rewrites of all nine of his films, which is why they contain such remarkably dense, often autobiographical themes and literary depth. To begin with, he saw that the studio-enforced title of The Seventh Victim could be co-opted to support a tale of modern-day black magic in New York’s Greenwich Village. The crippling demands of the B-picture format meant that a first draft was commissioned from his Cat People screenwriter Dewitt Bodeen whilst I Walked with A Zombie (1943) was still in production. 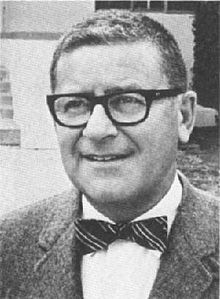 This was unsatisfactory, so Charles O’Neal (father of actor Ryan) submitted a 72-page treatment more to Lewton’s liking, much of which made it into the final script. Bringing his trademark exacting research to the project, Lewton had Bodeen inquire about attending Satanist meeting in New York. His presence was surprisingly welcome – and the resulting fascinating glimpse into their world inspired the eerie surface normality of the film’s occultists. He recalled a group of genteel elderly pensioners who could have been at a coffee morning. Far from being conduits for ancient evil, their spell-casting was directed at the Allies’ approved nemesis, Adolf Hitler. The power of The Seventh Victim comes from the incongruity of dark witchcraft practises hiding almost in plain sight in a (sometimes daylight) modern urban setting. Roman Polanski would develop this with the stunningly creepy Rosemary’s Baby (1967) yet in a still relatively God-fearing America of the Forties, the bravery of Lewton and Robson’s vision remains potent for its greater subversiveness. We are confronted with tragic foreshadowing right from the opening shot - a quote from John Donne’s Holy Sonnet VII: “I runne to death, and death meets me as fast, and all my pleasures are like yesterdays”. Make no mistake, someone over the next seventy minutes willingly embraces an accelerated trajectory to doom. This qualifies The Seventh Victim as Film Noir; a sense that the deadly cards of fate are already dealt, and inescapably so since destiny will be determined not by random chance, but by character choices. Our Everyman protagonist on this crazy journey is late-teens schoolgirl Mary Gibson, well played by future Oscar-winner (for 1951’s A Streetcar Named Desire) Kim Hunter. Hers will be a path from sheltered youth into harsh experience as traumatic as that undergone by soldiers on the battlefield. The 20 year-old Hunter was perfect for the part. She exudes a thoughtful poise and a genuine innocence; being her first film role coming from a stage background, her fear of making extraneous movements caused Lewton to urge her to relax her initial stiffness. We meet her in the Highcliff boarding school run by frosty headmistress Mrs Loughwood (Ottola Nesmith) - whose name is an homage to the cruel Lowood school of Jane Eyre’s formative years. Mrs Loughwood and her assistant Mildred Gilchrist (Eve March) break the news to Mary that her sister Jacqueline, who was funding her there, has gone missing. Rather than pay her owed fees in employed tutelage, Mary sets out to track her down, leaving behind the tinge of dom-sub lesbianism between Loughwood and Gilchrist. This hint of Sapphic subtext will recur more than once in the film’s female relationships. Mary heads for the cosmetic firm of La Sagesse owned by the wealthy Jacqueline. In Steve Haberman’s otherwise superb DVD commentary he erroneously translates the company name as ‘the way’ instead of the more accurate ‘wisdom’. This hints at some private knowledge Jacqueline may be seeking. Jacqueline’s employee friend Frances played by Isabel Jewell, (Gone with the Wind’s Emmy Slattery) recommends that Mary try Dante’s restaurant where she saw her a week ago. Here is a lightly autobiographical touch of Lewton’s, basing the restaurant and the Greenwich Village locale on the area he and his wife frequented early in their married life. He also added literary flourishes to the venue, not just in the name but establishing the soon-to-be important character of Jason (Erford Gage) tellingly at the feet of a Dante mural. Is this a foretelling of hellishness we ask? Not to begin with as once-celebrated poet Jason flirts with Marguerite Sylva, the owner’s wife and comes over at her request to cheer up the troubled Mary. He deserves points for trying as Mary has just been up to the spare room Jacqueline rented from them and been met with the portentous sight of a hanging noose and a wooden chair. Clearly, Jacqueline had darker matters in mind than lipstick shades. The sombre mood is amplified when Mary goes to the depressing Missing Person’s Bureau, underscoring the air of dismal isolation and the ease with which the modern city loses its neglected inhabitants. A ray of hope though is the ambulance-chasing private investigator Irving August (Lou Lubin). Despite circling for potential clients like a vulture, he takes pity on the penniless Mary and offers to take her case for nothing, a Good Samaritan deed he possibly regrets when she persuades him to go snooping with her to the factory. 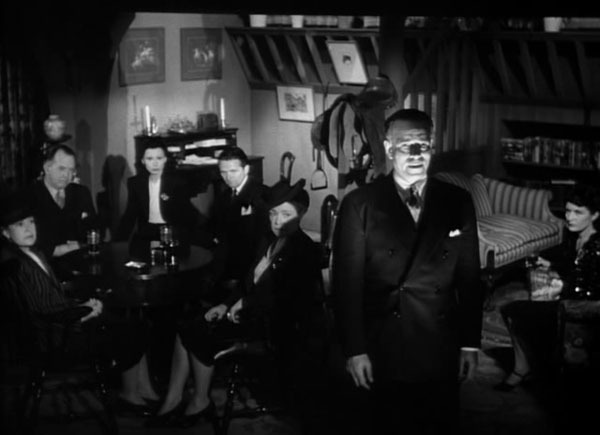 This sequence is classic Lewton, combining Nicholas Musuraca’s artfully shadowy lighting with a single soundtrack detail (here a ticking clock) to crank up the tension. August staggers out of the room that Mary has shamed him into exploring alone, and collapses dead, a pair of scissors embedded in his back. From here, the hidden horror gradually bleeds into the everyday world. As Mary returns home on the subway, across from her two apparent drunks nurse their paralytic pal. She is shocked to suddenly recognise their fallen comrade is the dead body of August. She hurries to flee the compartment while one of the men fixes her with an utterly sober accusatory stare. The web of intrigue is further spun by the addition of other interesting principal characters who get to live longer. There is Gregory Ward, a lawyer who helps Mary while at first concealing from her that Jacqueline is his wife. He is played by Hugh Beaumont, later to find fame as sitcom dad Ward Cleaver in the hugely popular Leave it to Beaver (1957-63). Our anticipation of Jacqueline strengthens from his description of the bewitching impact she possesses: “Something exciting and unforgettable about Jacqueline…something you never quite get hold of – something that keeps a man following after her”. Such a femme fatale can lead a man to his own tragedy, another component of classic Film noir. As the plot develops, inadvertently so too does Mary’s inappropriate attraction toward him. More complexity is provided by the novel return of Cat People’s suavely naughty psychiatrist Dr Louis Judd (Tom Conway), last seen dying at Irina’s claws while he attempted some highly inappropriate therapy of his own. (We can only speculate that this case is earlier in his life or exists in a parallel dimension. Anything is possible in the world of the supernatural). He projects callousness for someone from a caring profession, choosing to write instead of slumming it with unstimulating patients: “Dipsomania is rather sordid”, he tells one client’s relative. Even so, we can’t help liking Judd for his ambiguity. He is still a bad boy who flirts with danger. “I prefer the left – the sinister side”, he says of the two opposing staircases when he takes Mary to meet her sister. We are never quite sure which side Judd is really on until the end, and the film is all the better for it. What we do know is that Judd was treating Jacqueline for depression after she left a strange cult known as the Palladists. 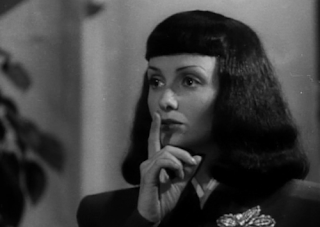 More enigmatic still is the first brief glimpse given to us of Jacqueline (Jean Brooks), pressing her finger to her lips upon seeing the stunned Mary. A natural blonde coming from Johnny Mack Brown westerns, Brooks makes a striking entrance in a black, straight-fringed wig. There is something haunting and haunted about her, and this tantalising sight before she vanishes is like a spectral visitation. She must stay in hiding, a fugitive from justice for August’s murder. Our examination of the therapist deepens when Mary goes to a party with Ward. Here, Judd reveals that he envies his friend Jason’s literary gifts that he abandoned after a well-received debut book. A loudmouth partygoer remarks ambiguously about Judd and Jacqueline that “When she took up with Louis, she went out of circulation just like that” – which might suggest private practising of either an unethical or sinister nature. It’s worth noting Judd’s magic card trick at the side for a group of guests. Does this conversely argue him as a sceptic of hocus pocus? Jason takes up the poisoned chalice of detective and from his library research uncovers the parallelogram symbol of the Palladists which, not by coincidence, is also the logo for the cosmetics company. As Mary gets closer to the coven, she is given a subtly malevolent warning not to interfere from employee Mrs Redi (Mary Newton) that prefigures Alfred Hitchcock’s infamous shower scene in Psycho (1960). Redi delivers her literally veiled threat – “I have no intention whatsoever of hinting” - as a looming silhouette on the other side of the shower curtain, while poor Mary is nakedly vulnerable in the stall. The quasi-lesbian dominance of the older woman’s position did not go unnoticed by perceptive critics either. When we finally meet the Palladists, the very ordinariness of their respectable, middle-aged membership, faithful to Bodeen’s real-life experience, adds to the chilling secrecy of their work. They even have the everyday committee problems of staying true to their defined ethos, in this case a pledge to non-violence, that must be side-lined to punish Jacqueline just like their previous six betrayers, thus fitting the title of The Seventh Victim. When they finally abduct Jacqueline, the quiet potency of their manner is devilishly effective. Instead of forcing her to drink poison, they surround her like genteel interventionists of support, encouraging her softly in a bid to come to the decision herself - (”It won’t hurt”). Frances reveals the depth of her private love for Jacqueline by an outburst protecting her employee from taking up the fatal wine glass. Before the final confrontation, there is one notable scene where Lewton makes Jacqueline’s death-wish, on her own terms, undeniably clear. Back home, she meets a neighbour across the hall - “I’m Mimi. I’m dying”. This is Elizabeth Russell, whom we last saw as the mysterious Serbian soul-sister interrupting Irina’s wedding meal in Cat People (and would play one of the leads in the 1944 sequel Curse of the Cat People). Her Eastern European beauty masks a damaged soul battling her inner demons, an anonymous casualty of mental illness adrift in the big city. It’s no coincidence she connects briefly with Jacqueline - they too are kindred spirits. “I’ve always wanted to die. Always…” agrees Jacqueline solemnly. Mimi declares that she will dance with gay abandon tonight, but Jacqueline knows she is not fooling anyone. “You will die”, she prophesies after Mimi exits. This becomes the catalyst for a strikingly understated climax whereby Judd returns to the devil-worshippers who sent Jacqueline into her downward spiral. He confronts them in a manner wholly untypical of the average horror film, yet perfectly in keeping with Robson’s understated tone. Their leader Mr Brun (a persuasive Ben Bard, lit by Musuraca from below for extra menace) argues for the sanctity of private belief: “Who knows what is wrong or right? If I prefer to believe in Satanic majesty and power, who can deny me? What proof can you bring that good is superior to evil?” In reply, Judd hits him solely with the power of conviction. From belittling scorn, (“It’s a joke, a pathetic little joke”), to the simple righteousness of quoting the Lord’s Prayer, his condemnation is superior yet strangely moving, like a headmaster who is not angry but disappointed with wayward pupils. Brun looks to the floor as if in schoolboy shame. Leaving the coven oddly suspended, the last scene is equally uncompromising. A defiantly glamorous Mimi heads out of her apartment, and the sound of a falling chair next door denotes Jacqueline’s terminal self-realisation. 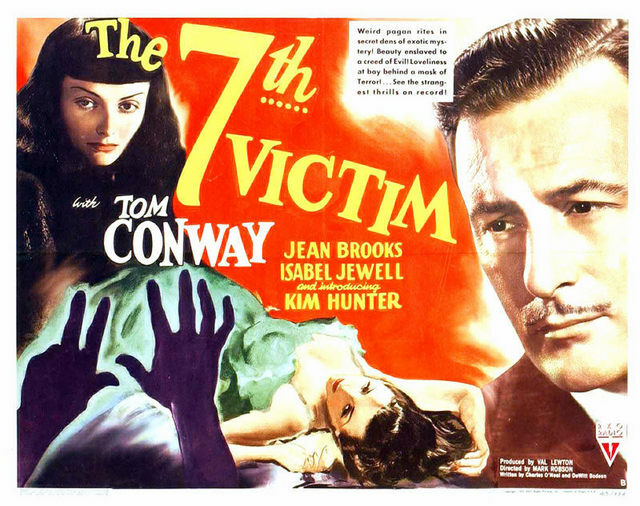 The Seventh Victim’s bleak tone and downbeat ending may have played into its relative failure with audiences and critics at the time. The seductiveness of suicide was not what they wanted to hear during WWII. Another factor was the confusing narrative gaps resulting from four scenes removed in post-production by Robson and editor John Lockart (explaining for example how the Palladists knew where Jacqueline was hiding). It also feels congested in trying to impart and then resolve all the public and private sides of an incestuously small main cast.